Posted in: 1 Pageant Pages, 2 Shout-out-Looks. Tagged: John Raspado, Mr. Gay World 2017, Mr. Gay World Philippines, Wilbert Tolentino. Earlier in the day, Mr. 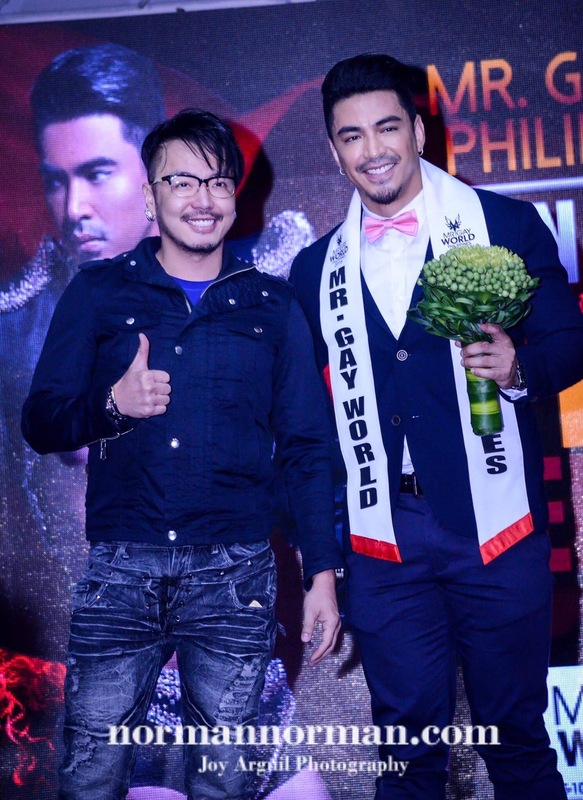 Gay World Philippines John Raspado was given his formal send-off to Mr. Gay World 2017 to be held in Madrid and Maspalomas, Spain from May 5-10. 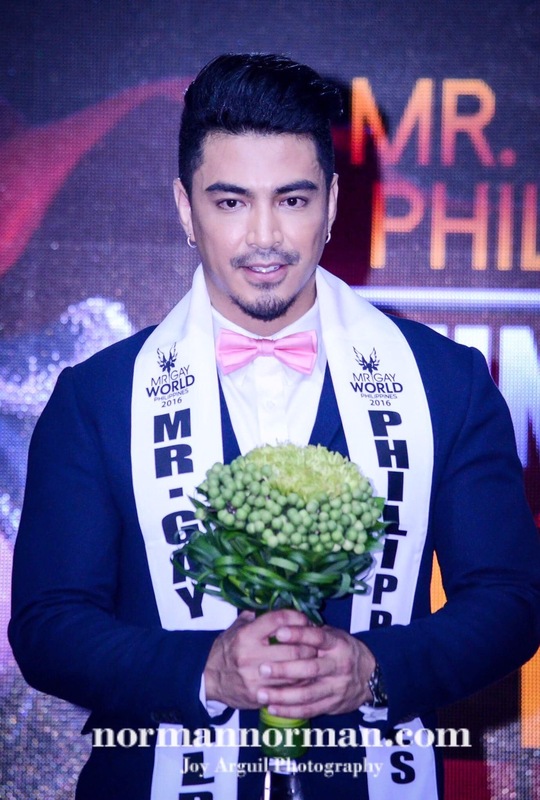 He was given a visible outpouring of love and support from the Mr Gay World Philippines Organization headed by Wilbert Tolentino, members of the media and his family members. 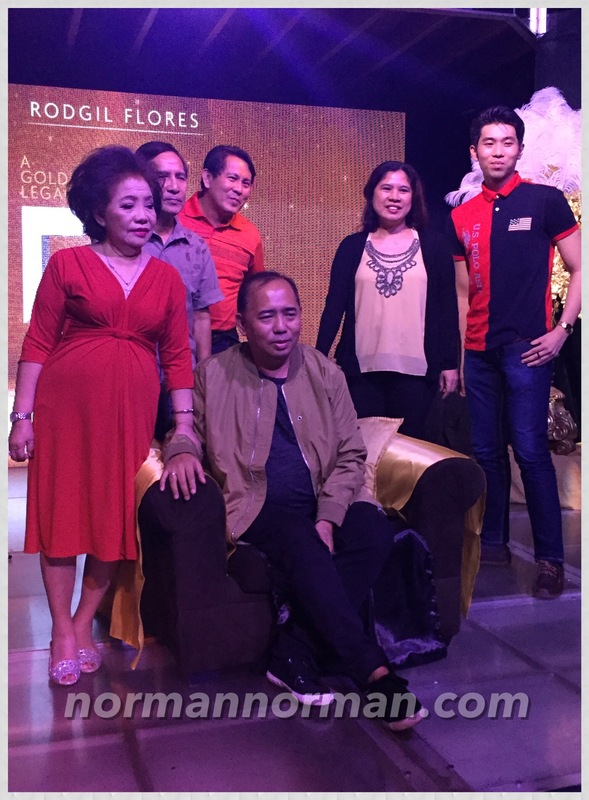 Kristine Caballero Aplal hosted the event at Club One 690 where everyone witnessed how our bet has improved much in the way he expresses his thoughts in front of an audience. Kagandahang Flores took charge of his training from head to toe. 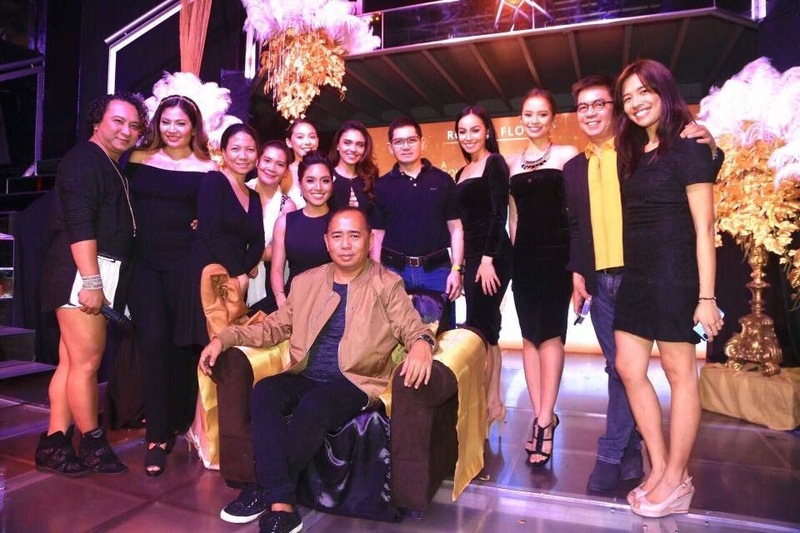 “I promise to do my best to bring home the country’s first Mr. Gay World title. Once more, consistency will be the key in getting the victory.” said John. He will promote his #I❤️LGBTQI Advocacy while in the host city. You might want to know what National Costume he will wear in Spain. Here it is. Mr. 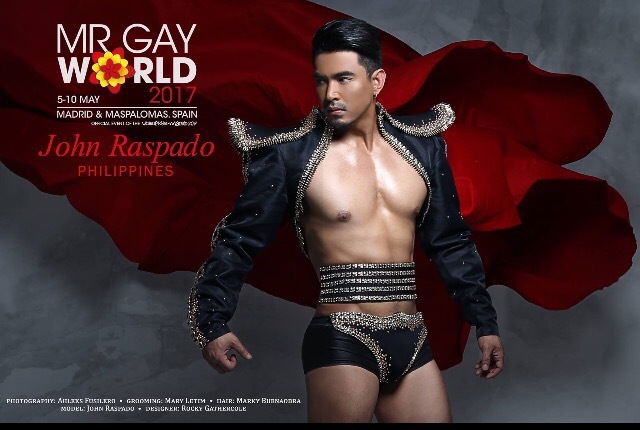 Gay World Philippines Organization Head Wilbert Tolentino models the National Costume that John Raspado will wear in Spain for Mr. Gay World 2017. 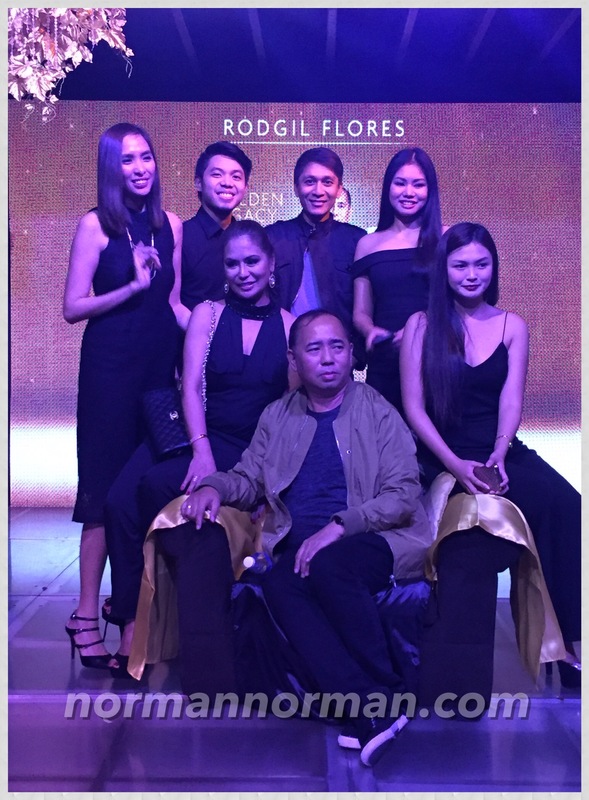 The Rocky Gathercole ensemble is inspired by a combination of the Spanish and Pre-Colonial influences of the Philippines. The gold-embellished head piece was designed to symbolize the indigenous mythical demigod “Sipada”, a great warrior and patron deity of homosexuals in the Philippines. Since Mr. Gay World 2017 will be held with the symbol of the Spanish matador, it coincides with the month in which the pageant month will fall – Taurus – the Zodiac sign of May. This creation costs a total of US$5,000.00. From all of us here at normannorman.com, we wish you all the best, John! We know that you are capable of bringing honor to the Philippines. Do us proud in Spain! Posted in: 1 Pageant Pages, 2 Shout-out-Looks. 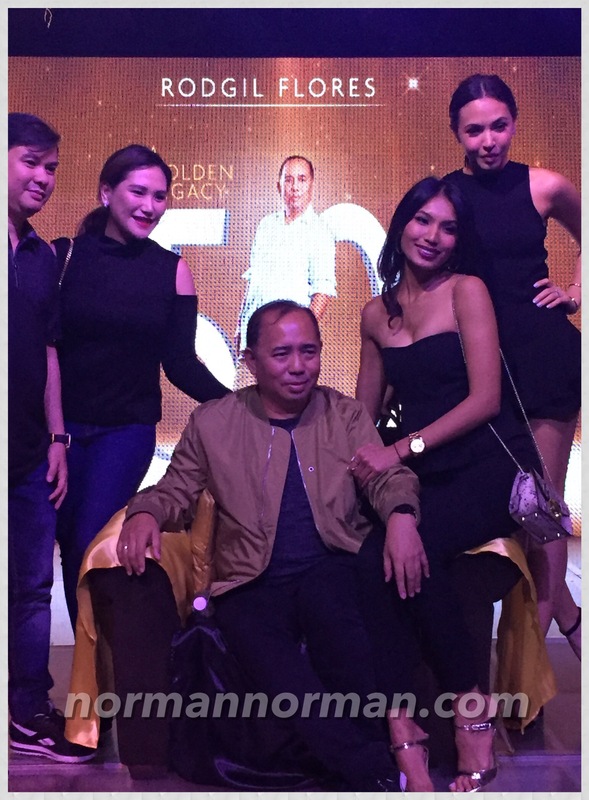 Tagged: Club 690, John Raspado, Mr. Gay World 2017, Mr. Gay World Philippines, Wilbert Tolentino. 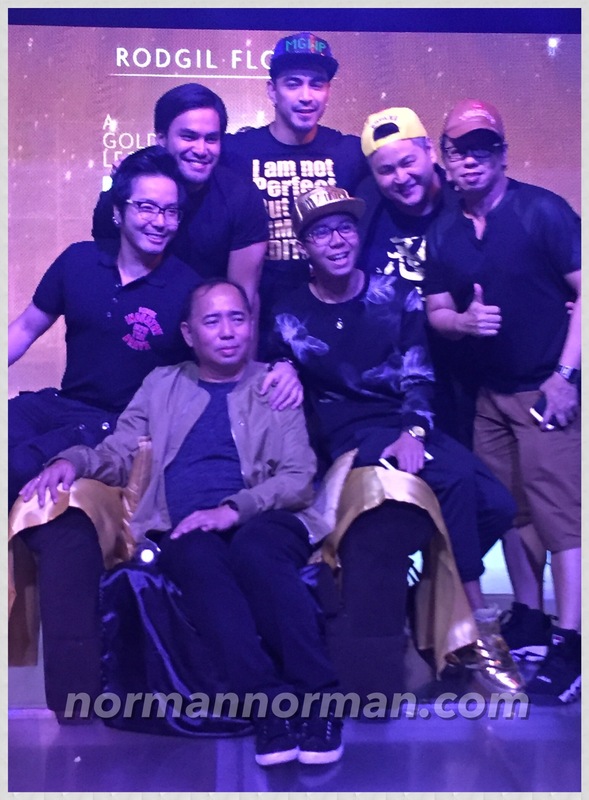 This afternoon at Club 690 in Quezon City, the invitational Send-Off Presscon of Mr. 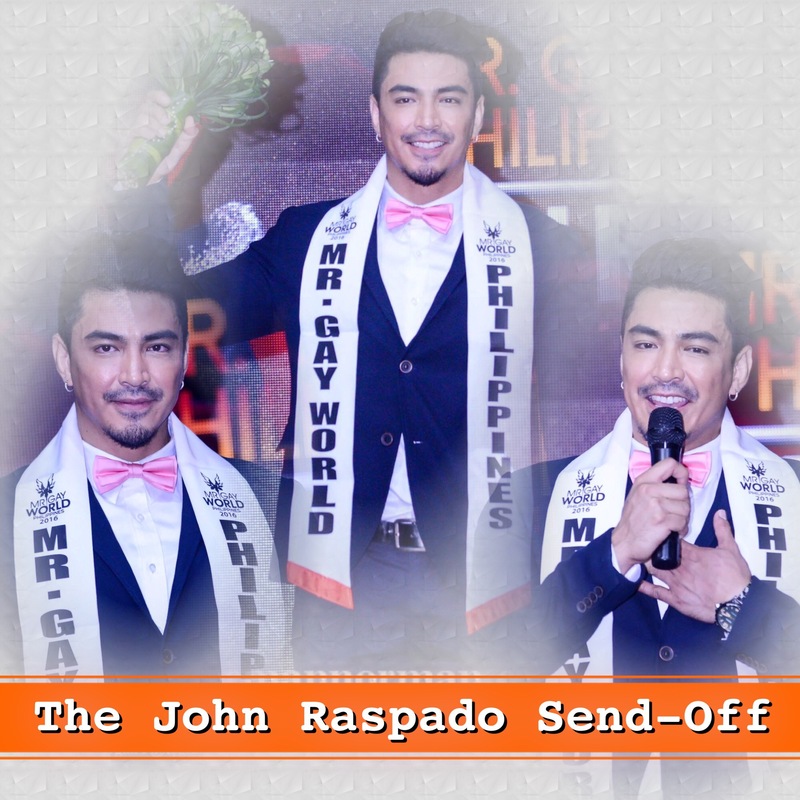 Gay World Philippines John Raspado to Mr. Gay World 2017 will take place with the attendance of pageant and showbiz media guaranteed to make the proceedings more colorful. MGWP Organization Head Wilbert Tolentino is making sure that all bases are covered in the preparations of John before leeaving for Madrid, Spain next week. Popularity voting-wise, we are in the lead. But that’s no excuse to rest easy in throwing in our support. Keep the votes coming in for our bet. Click HERE to do just that. In the meantime, please watch, like and share the video of John who is also gunning for Best in Social Media. Posted in: 1 Pageant Pages, 2 Shout-out-Looks. Tagged: John Raspado, Kagandahang Flores, Mr. Gay World 2017, Mr. 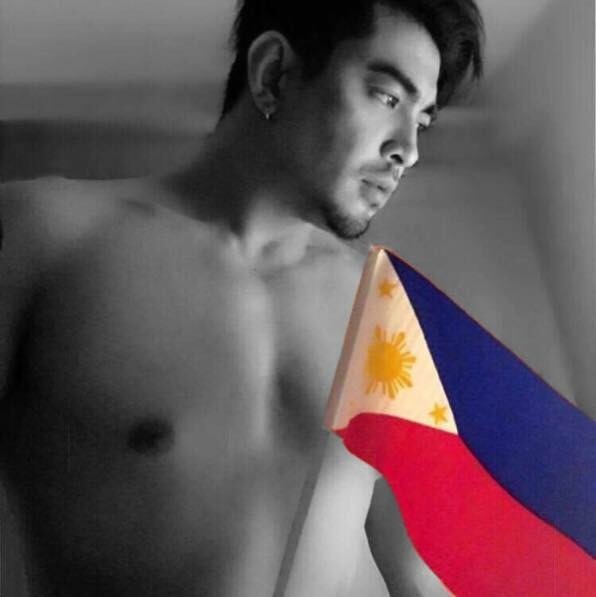 Gay World Philippines Organization, Wilbert Tolentino. John’s send-off to Mr. Gay World 2017 is coming up soon! MR. GAY WORLD 2017 VOTING PAGE IS ALREADY OPEN!!! John is in high spirits. He is getting all the love from the Mr. 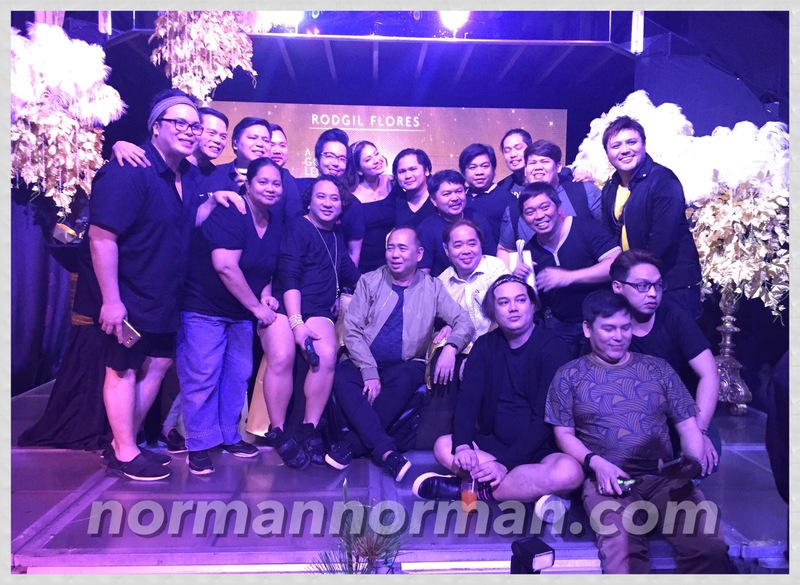 Gay World Philippines Organization courtesy of Wilbert Tolentino, as well as the Kagandahang Flores camp and all his good-intentioned fans and followers. Let us unite in bringing him closer to the crown! Posted in: 1 Pageant Pages, 2 Shout-out-Looks. 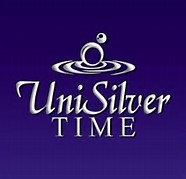 Tagged: Ahleks Fusilero, John Raspado, Madrid, Maspalomas, Mr Gay World, Mr. 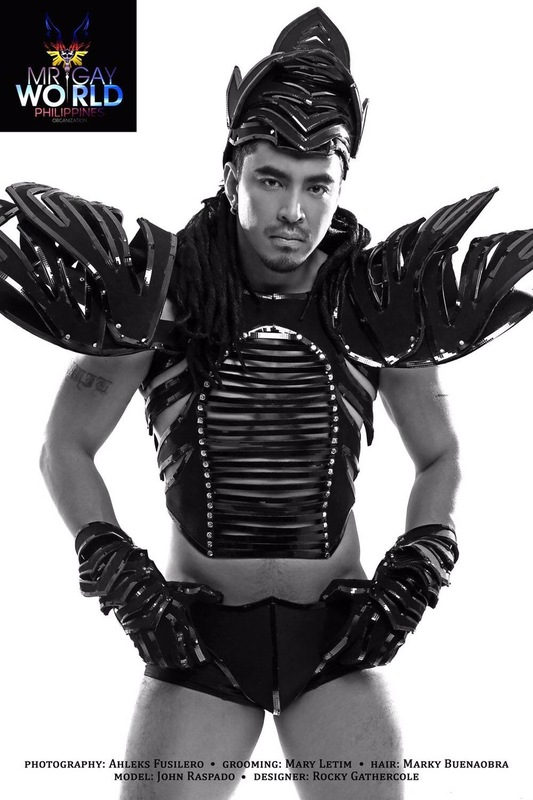 Gay World Philippines, Rocky Gathercole, Wilbert Tolentino. 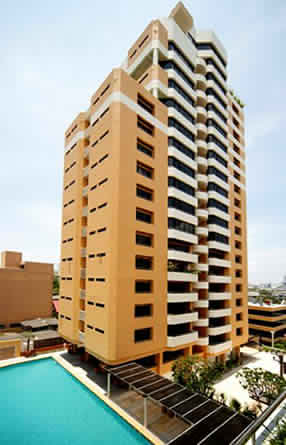 From May 5-10 in Madrid and Maspalomas, Spain, Mr. Gay World 2017 will be held. And it is with full excitement and anticipation that we start heralding our representative in the said international competition among gay males around the globe. Baguio City native John Raspado (check out his Igorot-themed pictorial below) is filled with high hopes of doing well in the said event and becoming the country’s first Mr. Gay World titleholder. Do watch his introductory video which I encourage you to like and share so we can spread awareness about his participation. This is just the beginning. 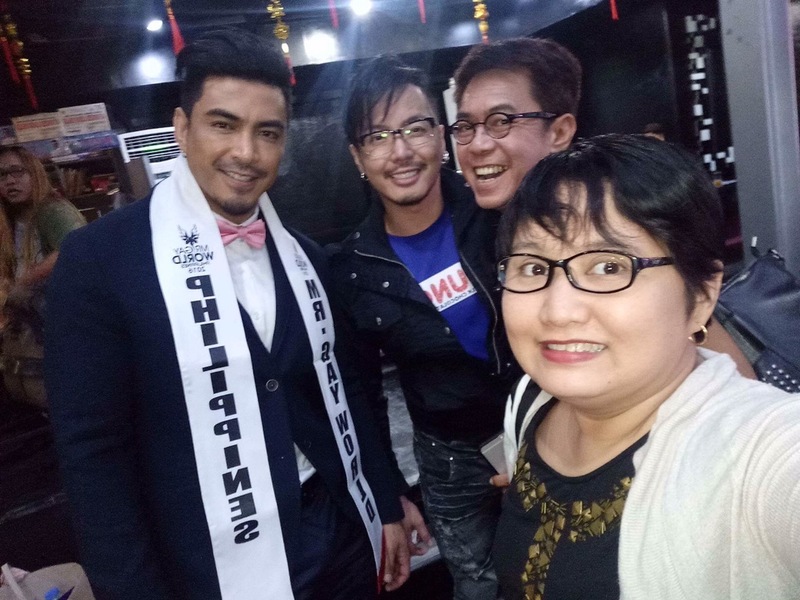 Expect the upcoming weeks to be dotted with social and published media bursts on Mr Gay World Philippines as John embarks on the biggest mission of his life. All #ForThePhilippines! 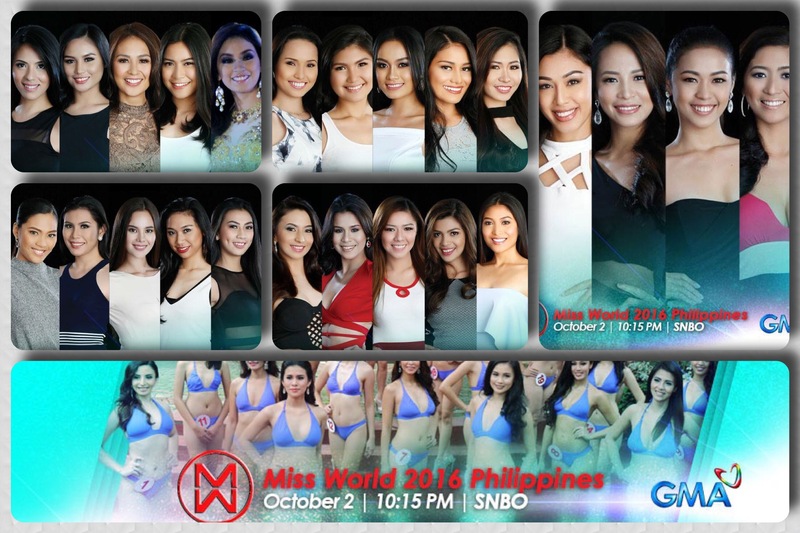 Posted in: 1 Pageant Pages, 2 Shout-out-Looks. 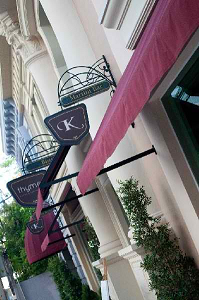 Tagged: Ahleks Fusilero, John Raspado, KF, Mr. Gay World 2017, Mr. 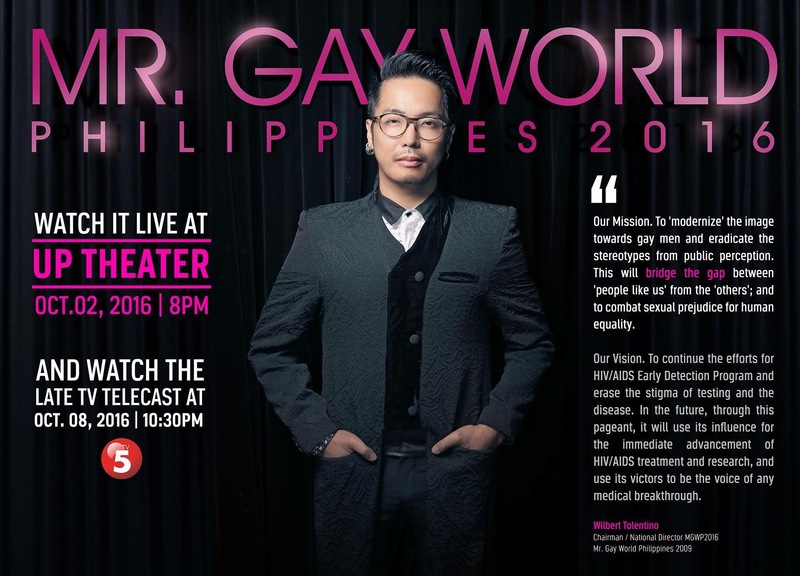 Gay World Philippines Organization, Wilbert Tolentino. 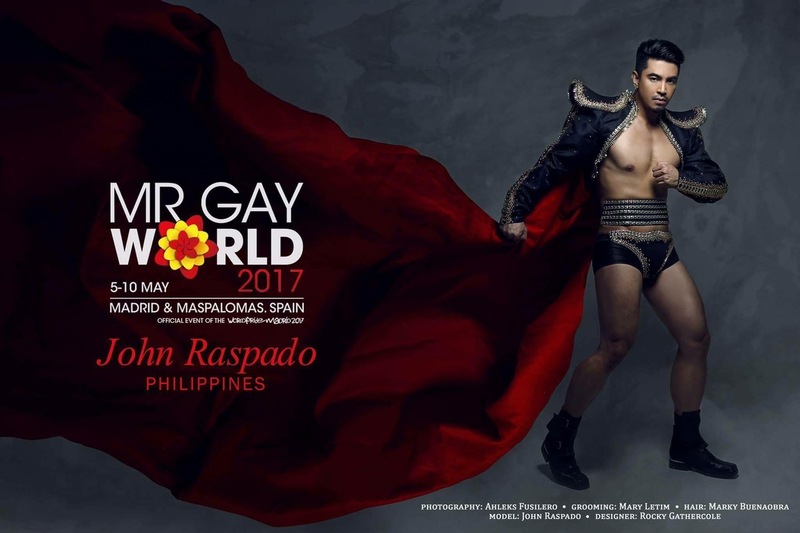 Kudos to the Mr Gay World Philippines Organization for collaborating with ace photographer Ahleks Fusilero in coming up with the theme for the latest photoshoot of Mr Gay World Philippines 2016 John Raspado with that very red carnation (national flower of Spain) covering his lower body. This is to start drumming up support for the upcoming Mr Gay World 2017 finals which will be held in Madrid and Maspalomas from May 5-10. John is eyeing the big prize. And he wants nothing more than to bring home the Mr Gay World crown and be the first Filipino (and Asian) to actually win the honor. 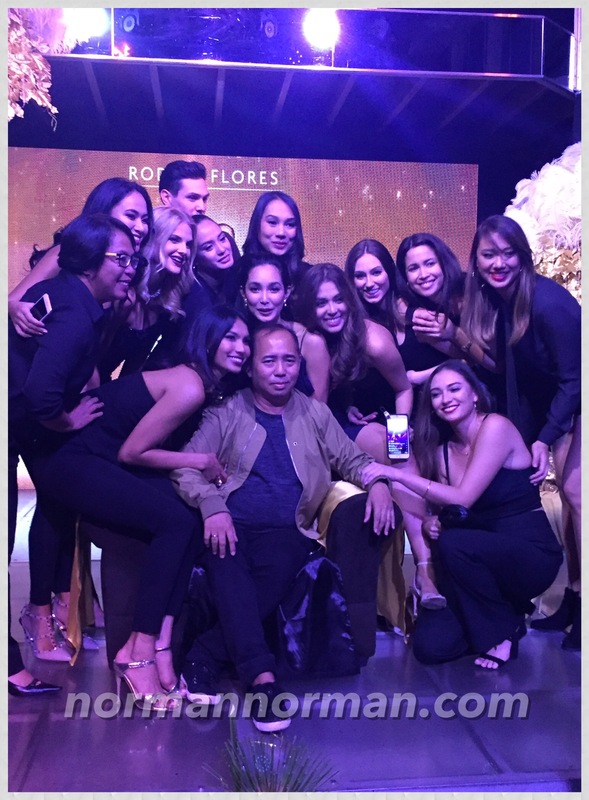 Kagandahang Flores is in-charge of his pageant training and preparations no less. 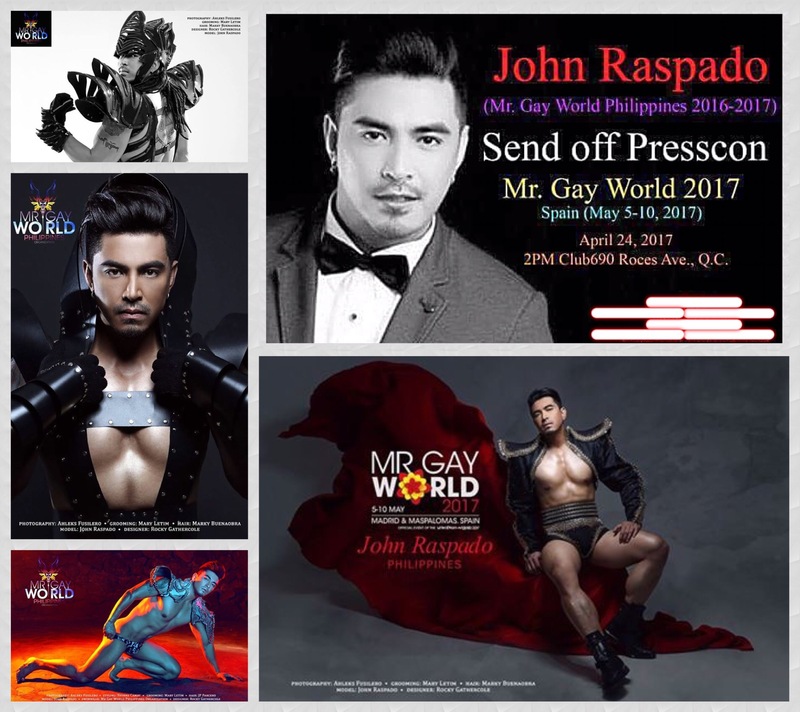 For more updates on the annual contest and to be on the loop for information as to how to support John in Mr Gay World 2017, keep on checking the FB page of Mr Gay World Philippines Organization.